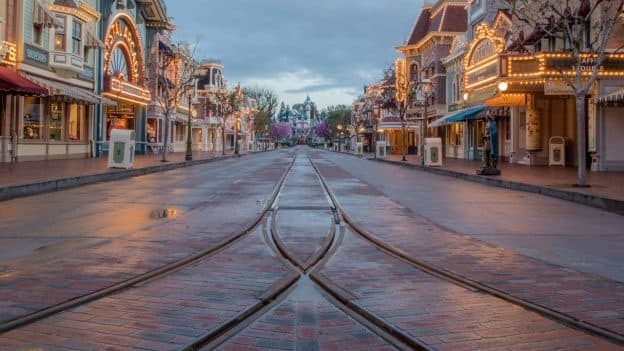 Main Street, U.S.A., at Disneyland park just completed a refurbishment in which the horse-drawn streetcar track was replaced in its entirety for the first time. I am happy to report that this work has been completed, adding new brickwork along the length of this already lovely street. As we have previously shared, the pieces of original track remaining prior to this refurbishment were salvaged and preserved, and the previously updated pieces of track were being recycled. And today we are excited to welcome back our four-legged cast members, the Disneyland Resort horses, to Main Street, U.S.A.! 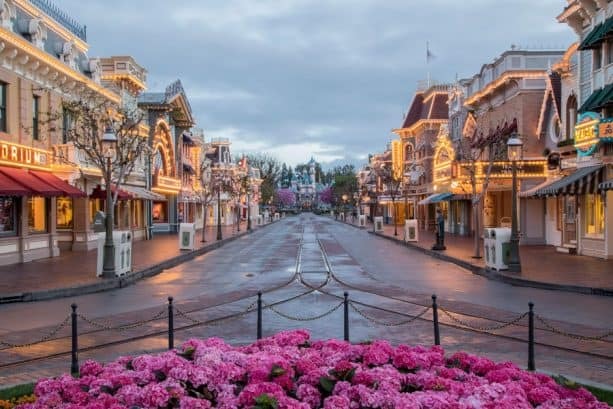 Just want to confirm that there is no more construction on Main Street?? We are going for Mothers Day (as I am sure many of you are). Thanks! Yeah, can’t wait to see it! So glad the walls are gone! Can’t wait to see it in person. I’ve seen it in person. It looks great! I’m glad to see the barricades are down It was a night mare to get around the last time we were there. The new brick work adds to the charm of Main Street. Beautiful!!! I’m so glad the original track was preserved, Disney excels at preserving history. Thank you for the update! It looks wonderful!! I am so happy to see the walls all down. Do you know when the horse carriages will be back? We saw cast members walking the horses down, but no carriage. Thank you in advance! !